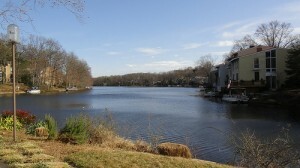 Looking out at Lake Anne from my home fills me with joy! I love Thanksgiving in Reston. Everyday, I am truly grateful to live in such an amazing place. 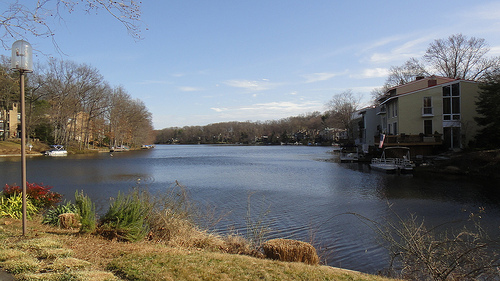 In fact, my love of Reston--especially Lake Anne--had much to do with my decision to become a real estate agent, and everything to do with my decision to focus only on Reston Real Estate. Helping people find a dream home in the place I call home really can't be called work. As I'm getting ready for Thanksgiving this year, I've been reflecting on some of the things about Lake Anne (and Reston) I especially love. I love looking out of my office window at Lake Anne and watching the model boat regattas or couples paddling toward the fountain in a paddle boat. I love going to the Farmer's Market every weekend and buying fresh produce and meats from local farmers. I love walking on the Reston Association paths--whether I have a destination like Town Center in mind, or I'm just wandering. I love running into friends at the grocery store or when I'm out to dinner. I love the civic activism, and how people in Reston care about this place and want it to flourish. There is more that I love about Reston, but those five things sum it up for me. Reston is a fabulous place not only to live, but to have a full life. Today, I feel very grateful. I hope your Thanksgiving is filled with laughter, love, and gratitude.